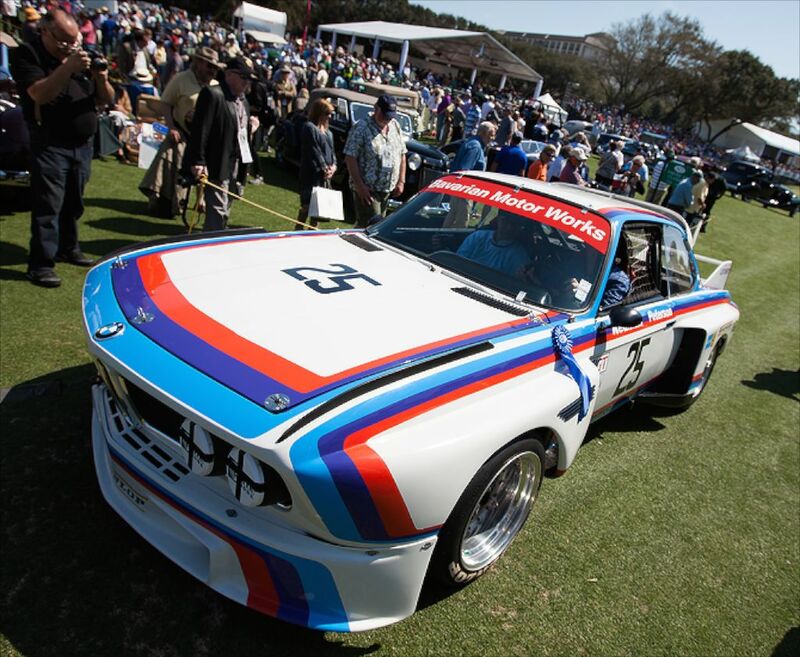 The first BMW Art Car, a BMW 3.0 CSL, with paintwork by American artist Alexander Calder, was a top contender of a class of BMW 3.0 CSLs at the 2014 Amelia Island Concours d’Elegance. The Concours competing BMW race cars included both the winners of the 1975 Twelve Hours of Sebring and the 1976 Daytona 24 Hour race. BMW Group Classic showcased the heritage of the BMW 3 Series in a display that featured a first-generation 3 Series in the United States, the 320i, as well as the very first BMW 3 Series Convertible. The BMW 320 Turbo race automobile, driven to numerous IMSA wins, poles, and has a stellar racing performance history in 1977/78 by racer David Hobbs was also a highlight. On display throughout the weekend was the company’s first exotic, the BMW M1, as well as the first generation BMW M3. Another special emphasis of the 2014 Concours was a class of McLaren automobiles that included the 1996 McLaren F1 GTR race vehicle, with its 6.1-liter V-12 engine conceived and constructed by BMW M GmbH. BMW did not just commemorate its past but likewise the future. The all-new BMW M4 Coupe and the BMW i8 plug-in hybrid cars were all on display throughout the weekend. As befits the business’s long history as an innovation leader, the BMW Technology Award will be bestowed upon the car entered in the 2014 Amelia Island Concours d’Elegance that best stands for cutting edge technology in its day. The initial showing in the legendary series of BMW Art Cars emphasized the BMW CSL at the 2014 Amelia Concours d’Elegance. For over 40 years, the BMW Art Car Collection has actually caught the imagination of art and design enthusiasts as well as fans of automobiles and innovation with its one-of-a-kind mix of great art and innovative automotive technology. Many consider the BMW 3.0CSi and 3.0CSL as being the best designed, engineered and manufactured automobiles that BMW has ever created. They’ve certainly inspired many artists and phenomenally talented race car drivers through the years, not to mention motivated automotive enthusiasts to own them, drive them, collect them, restore them, vintage race them and long for them from afar (in this writer’s case).